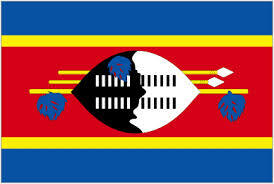 Swaziland, officially known as the Kingdom of Swaziland is a sovereign state in the southern part of Africa. It comprises a population of over 1.1 million, estimated in 2015. When it comes to the telecommunications, mobile market penetration in Swaziland has been well above the African average. There are 805,000 mobile cellular lines, which is 164th in the world, estimated in 2012. The Internet penetration rate has shown immense growth in the country. There were 90,100 users connected to the Internet in 2009, which was ranked 162nd in the world. These stats jumped to 288,225 users by 2012, covering up to 20.8% of its population and ranked 143rd. Gambling is legal and regulated in Swaziland. There are several land-based casinos operating in the country. The largest casino in the entire country of Swaziland is Royal Valley Sun Spa and Resort which is located in Mbabane. Land-based casinos are legal and licensed since 1960’s to attract tourism in the country. Lottery is also legal in the country. There was a time in 2004 when Swaziland had its own national lottery in the name of Swazi Lotto, but it had to shut down its operation in the year 2005 due to financial problems. Even though there are no state lotteries, Swazi players try their luck on foreign lottery sites. There are no official sources that would indicate that players of foreign online platforms would face any penalties in the country, and there is also no reported internet censoring system in place.